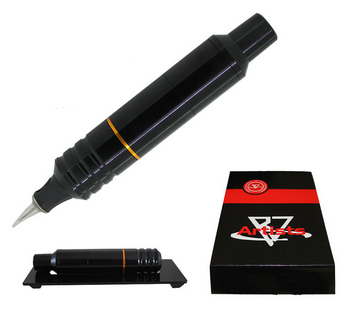 Rotary tattoo pen can use Hawk Cartridge needles. Powerful motor can run machine at maximum strength which allows you to perform all kind of tattooing work. Needle lendgth can be adjusted very easily. Grip deameter aprox 25 mm.